Call of Duty is a first person shooter video game made by Activision.. 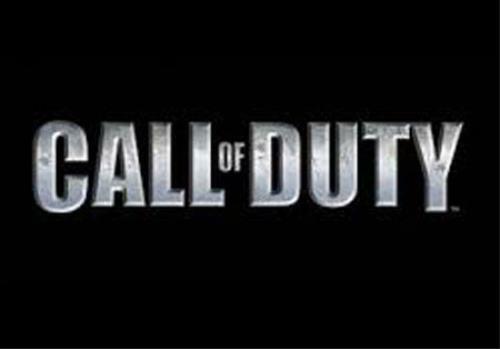 The Call of Duty series has sold over 100 million copies and is one of the most popular games available today. With such a huge fan base, it is not surprising that Illuminati symbolism is present - the audience is too big not to use as a forum to indoctrinate the sheep masses. 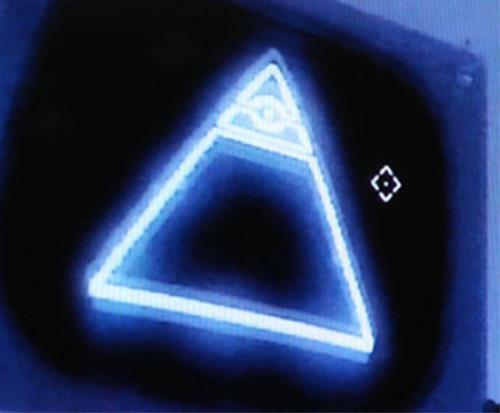 Scattered through the various versions and levels/maps of the game are repeated Illuminati symbolism (see above). 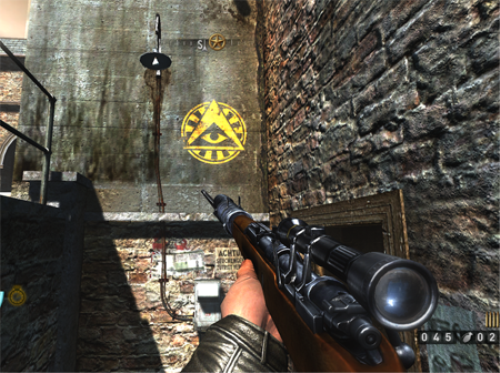 Anyone that plays the game for five minutes will begin to notice eyes and pyramids in the maps. Coincidence? Just for effect? I think not. Video games are no different than movies, music or literature, all are venues for the agenda. 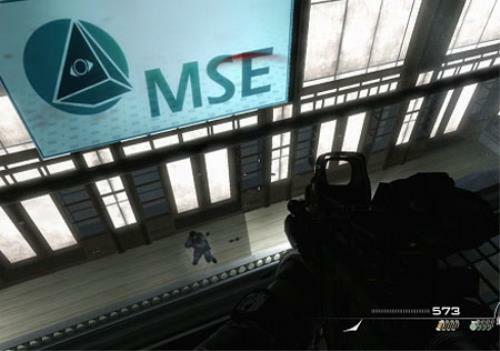 As they say, if it's in the game (Illuminati world) it's in the game.